Bounty and bounty hunters. An intergalactic courier with a special package to deliver. A mysterious black hole poised to devour the last world in the star system. Chaos ensues, but all is not what it seems. As the planet crumbles around them, the quest for legacies is just beginning. The airtight glass of the small vessel was not spared from the cold of space. After nearly three years of drifting through the darkness, ice crystals had formed around the window in the spaces where the harsh cold met the humidity of the tiny cabin. It was like a coffin. The interior allowed for only a single occupant, and there was little wiggle room for even that individual. The engines and fuel cells that power the ship, though miniscule, quadrupled the overall size. 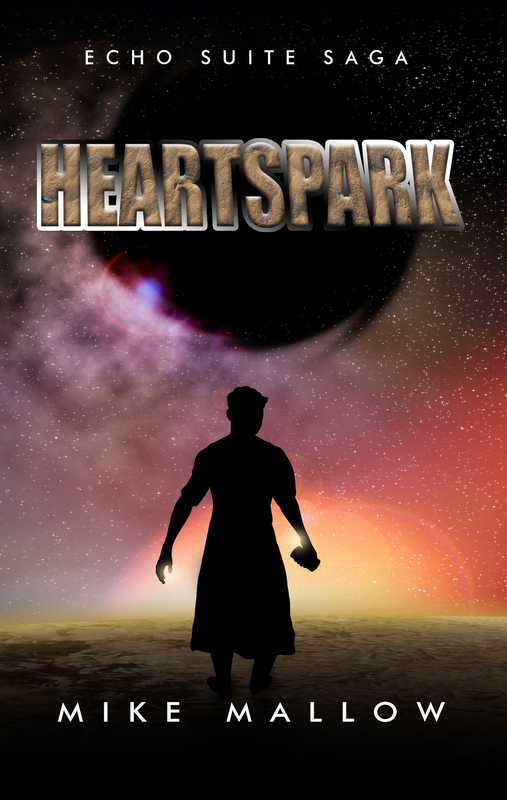 In stasis was Jonathan Heartspark. He had been held in cryogenic sleep now for two years, eight months, seven days, and still had two months remaining in the lonely journey. His sleep would have gone uninterrupted if not for the intrusion of a beeping sound that initiated an early wake. A computer prompt blipped in the frozen glass of the window, which doubled as a console screen when necessary. The light started dimly at first, but grew brighter as the heat from the illumination gradually melted the frost. It took several hours for the computer’s wake-up routine to thaw out Jonathan and make him cognizant enough to respond to the system’s dilemma. Jonathan flipped his hands upward, perhaps faster than he should have, to a keyboard that was fixed about chest level. It was an uncomfortable movement, aided by the awkward angle of the tight, vertical compartment. Taking a moment to stretch his stiff fingers and flick his wrists to make sure there was enough dexterity still in them to type commands, he began the arduous task of slow pecking. Eventually, he managed to clear the error prompt from the screen and further taps brought forward a detailed list of the situation. “ERROR H-C4Z4: DESTINATION NOT FOUND,” the readout displayed. Jonathan furrowed his cold brow as the flight plans loaded. Nothing had changed in the navigation since departure, but he was still not satisfied with that answer. Booting a prompt to manually recheck the course, Jonathan began to feel frustration after he typed in the name of his dusty home world, Bessinger, to which he received a similar response as before. Bessinger was one of three habitable planets situated in the Mako Belt, a solar system that itself was part of a four-star system cluster referred to as the Echo Suite. It was a sort of galactic real estate parcel given to humanity three millennia earlier – the circumstances of which have been lost to time. The only remaining pieces of knowledge in existence were supposedly being kept under wraps by the Fairchance bloodline – one of the original settlers of the Echo Suite. Fairchance, in addition to being the named bloodline, was also the namesake to the home planet and solar system in which humanity first dispersed from in this part of the universe. Galven and Millenia were the other star systems in the Echo Suite, but they were much farther away. In fact, Fairchance was the only system that could be reached in under a century, only three years had to be dedicated to a one way trip. Despite this, Galven and Millenia were confirmed to feature intelligent life based on the centuries-old broadcasts being received from those regions of space. “Odd,” Jonathan muttered to himself, his voice scratchy from disuse. Resigning himself to seeking alternate options, he began typing more briskly, his goal for now being to get somewhere and figure out the issue upon arrival. He scanned for the closest habitable planet, Ugry, which was Bessinger’s twin. Both bodies were locked within the same orbit around the host star – almost a half-year apart in rotation. Concern grew stronger as Jonathan did another search. He considered doing a scan for a third object – a planetoid – that was locked in orbit between Bessinger and Ugry. This planetoid once went by the name of Kokaria, but became colonized after an alliance between Bessinger and Ugry was formed a century earlier. These settlers ran the native Kokarian race underground as the colonist’s infrastructure grew. The settlement eventually became home to mountains of server stacks used as off-world data storage for the planetary system. And the planetoid took on the name CIN – an acronym for Central Interplanetary Network. At the time of Jonathan’s departure, there were rumblings that CIN would be put under military rule as tensions between Ugry’s and Bessinger’s governments slowly escalated. The nearly six years of absence from this part of the Echo Suite had kept him out of the loop of current events. He finally decided to save CIN as a last resort, if no other world was discoverable. After that, he typed in a query for the coordinates of the final populated planet in the Mako Belt. The blip on the terminal displayed the coordinates almost instantly, which gave Jonathan a glimmer of hope when he punched in the next command. “SET DESTINATION: MUTINELLIS” Jonathan typed into the navigation terminal. An uncomfortably long lag followed the command, which prompted Jonathan to consider CIN as an option again. Still not keen on that option, he also began thinking about a way to manually navigate the ship to Bessinger. But he quickly recalled that this class of ship was not steerable and relied solely on intergalactic navigation systems to guide it to its destination. “Yes,” Jonathan spoke aloud as he simultaneously clicked the option. The computer acknowledged the command, putting an end to his dilemma for now. He tilted his head back in relief and the building panic ceased. There were still many questions to be answered, but, for now, he found solace in the fact that he had a starting point on the ground.